Who else is as excited for Fall as I am? I swear this past weekend at the football game, I got even more into the spirit than I already was. There is something so perfect about football, leaves changing colors, sweater weather, and pumpkin spice lattes. Anyways, due to my excitement, I thought I would share with you my three fall essentials that I will be transitioning between all season. If I were going to spend money on only three items this season, these would be it. First, I would buy a pair of comfy, versatile booties that are neutral so I can style them with everything. Then I would find a great pair of nice jeans. Jeans, to me, are a definite investment piece. Although you can purchase cheaper pairs to mix into your wardrobe, I think there is something to be said for a nice pair of jeans that you will continue to sport for years. I have two pairs (yes I need more!) that have lasted me for years and I am able to wear in all different situations. I love them so much and always feel so good when I put them on. The last thing I would go towards is either a nice chunky sweater OR a vest. We haven’t quite tapped into vest looks yet, but a good vest is an awesome versatile piece that can easily be transitioned into winter because it is perfect for layering. 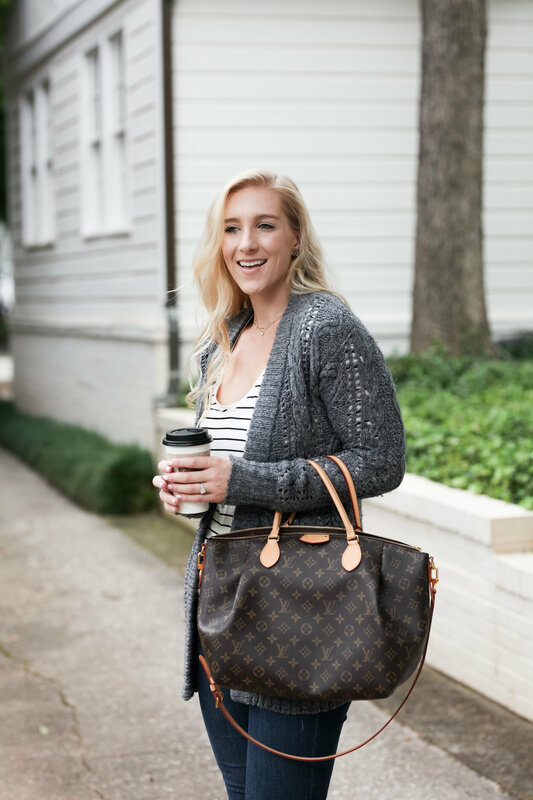 There are so many cute sweaters out right now and the options are just going to increase as well continue to get closer to the season, so definitely find one you like and add it to that cart! I have linked some of my favorites below! These three fall essentials are pieces any girl can pull off and create an instant outfit. I promise you, this look is fool-proof, and everyone looks cute in a chunky knit sweater. I completely agree Melissa – this is what I live in every Fall ☺️ A fool-proof look that’s super simple and always cute! !